Unlike 2011, when Jack Layton’s rise and death came to define the year that was in Canadian politics, no single event or person stands out in 2012. There was no federal election, and little that happened in Ottawa resonated outside the political bubble. After being warned about Harper’s “hidden agenda” for a decade, the most newsworthy item of Flaherty’s first majority budget was the death of the penny. The robocon scandal might eventually stick, but we have no way of knowing, so selecting Pierre Poutine, or Misters McGregor and Maher is likely premature. A few people on Twitter nominated Mark Carney, but I’m not sure his flirtation with the Liberal Party or departure to England will really change much. …Justin Trudeau. I don’t doubt that Trudeaumania II will be the “Story of the Year” on a lot of recap lists, but it’s not clear to me Justin left any lasting mark on Canadian politics (other than the ones on Patrick Brazeau’s face). And being talked about isn’t enough to make you the Person of the Year, or else I’d be handing out this award to the IKEA Monkey. If we move outside of federal politics, a couple of past winners find themselves on the short list again in 2012. Rob Ford was a headline machine this year, culminating with a judge ordering him to be removed from office. The only problem is, if we’re going to start naming troubled Mayors, it would make for one long list of co-winners, since you’d also need to include Gerard Tremblay, Gilles Vaillancourt, and Joe Fontana, among others. It’s tempting to give my 2007 Person of the Year, Jean Charest, and fellow Liberal-on-the-way out Dalton McGuinty a lifetime achievement award for the impact they’ve had on Canadian politics over the past decade. After all, this fall’s Quebec election was a thriller, and Charest surprised everyone by nearly hanging on. The PCs winning elections in Alberta is hardly news. They’ve now done that a dozen times in a row, and will soon break the record as the longest-serving government in Canadian history. Alison Redford won 61 of 87 seats which, admittedly, marks a down year for the PCs – but is still considered a rout in most functioning democracies. But, oh, what an exciting rout that was. Redford led by 37 points in a January Leger poll, and there were actually non-satirical articles printed citing senior Tories worried they’d win “too many” seats. 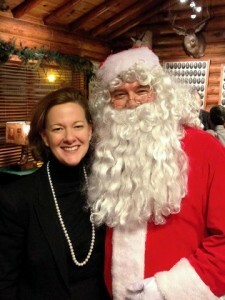 Luckily for those senior Conservatives, Alison Redford quickly put those fears to rest. The issue that landed Redford in dire straits and caused her to lose complete control of the agenda was the “money for nothing” controversy. When it came to light that MLAs were receiving $1,000 a month to sit on a committee which hadn’t met in four years, the opposition members did the sensible thing and returned the money. Redford did not. She called the gesture by the opposition MLAs a “stunt” and said there was nothing wrong with the committee – but hung her MLAs out to dry by suggesting there would be electoral consequences if they didn’t return the cash. Her caucus whip said voters were too stupid to understand the issue. Redford dithered and didn’t act until the polls went south a month after the story broke. But the damage was done. She had given the Wildrose Party all the ammunition they would need to run an “entitled to their entitlements” campaign. In most years, Redford’s stumbles wouldn’t have been fatal, but what made this a truly great election was that the PCs were facing their strongest competition in 20 years. Smith versus Redford pitted two of the country’s strongest politicians head-to-head, in what is likely to become Canada’s most interesting political rivalry over the next few years. Contrary to what anyone reading news stories in 2010 or 2011 would believe, Danielle Smith isn’t perfect – she confusingly tried to brand herself as the “anti-change” candidate and presented voters with a gimmicky platform, offering Ralph Bucks and Doris Day petitions. But Smith is a smart, articulate, and charismatic politician, so it’s no surprise her campaign strategy of “let’s do photo-ops with cute animals” was paying off. Before long, the Wildrose Party had pulled ahead. Alison Redford was sounding more and more desperate by the day, accusing the Wildrosers of being the party of “old white men” (fun fact: Alison Redford’s Cabinet was 86% male and 95% white). By this time, Wildrose campaign manager Tom Flanagan must have been having flashbacks to the 2004 federal election – a long time government brings in a new leader with expectations of a landslide victory, only to mismanage a scandal and see a new right wing party pull ahead. Sadly for Doctor Tom, the similarities would continue down the stretch, with voters en masse having second thoughts about what this new right wing party truly stood for. 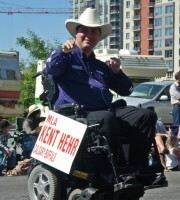 For that, Redford can thank a pair of Wildrose candidates. Allan Hunsperger blogged that gays would burn for all eternity in a lake of fire in hell, and Danielle Smith didn’t seem too troubled. Ron Leech talked about “the white advantage”, and Danielle Smith didn’t seem too troubled, saying every candidate should put forward “their best argument for why they should be the person who can best represent the community”. For a variety of reasons, the pundits and polls were as off the mark as Smith’s candidates, setting up one of the most stunning election nights in Canadian history. Columnists across the country were forced to madly re-write their columns on the demise of the PC dynasty. 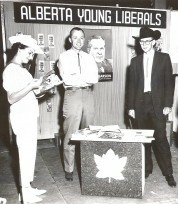 Some weren’t able to, hence Andrew Coyne’s first page Post column which began “Unless something astonishing happens, the Wildrose Party will form the next government of Alberta”. Turns out astonishing things can happen in politics every now and then – even in boring, predictable Alberta. Redford has stayed in the news post-election, thanks mainly to two more badly mismanaged scandals. However, she’s also had an impact on the national stage, being at the centre of the Enbridge pipeline feud with Christy Clark. Although Redford has only been PC leader for a little over a year, she is quickly becoming one of the most well known and respected names on the national stage – and her prominence is likely to grow with new Premiers recently elected or on the way in Quebec, Ontario, and BC (unless something astonishing happens!). With Alberta continuing to grow, and Redford showing an eagerness to expand Alberta’s influence in Canada and around the world, expect to hear more from her in 2013. Last week, Martha Hall Findlay and Karen McCrimmon declared their candidacies for the Liberal leadership race. This week, George Takach has taken the plunge. I’ve posted one blog interview with David Merner, and will have others with David Bertschi and Alex Burton next week. Deborah Coyne, meanwhile, has already released more fresh ideas than we’ve seen from Stephen Harper during his entire tenure as Prime Minister. These are seven very different candidates with seven very different messages, but the one thing they share in common is that none of them hold a seat in the House of Commons. This has prompted Warren Kinsella (and others) to gently suggest they do us all a favour and drop out, before they jump in. As the saying goes, if you can’t win your own riding, you can’t win the country. Now, Warren is free to support whomever he chooses using whatever criteria he chooses. And as far as criteria go, electoral track record is a pretty important one to consider. I know I’d have a difficult time supporting anyone who has never held elected office. That said, it’s likely worth looking at a few “losers” from history, before we automatically disqualify every “loser” from consideration. 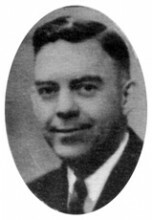 John Diefenbaker: This guy could put together losing campaigns more consistently than the Toronto Maple Leafs. 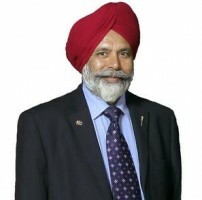 Before being elected, he lost twice federally, twice provincially, and once for Mayor. Despite being a five-time loser, the Tories went with Dief in ’56, and he rewarded them with the largest majority in Canadian history. Mackenzie King: Even though he lost his seat in both the 1911 and 1917 elections, the Liberals put their faith in King at Canada’s first leadership convention in 1919. 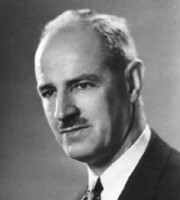 King would go on to become the longest serving PM in Commonwealth history…losing his own seat twice more along the way. 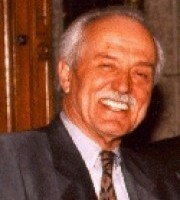 Jack Layton: Jack beat out three candidates with seats at the 2003 NDP leadership convention, even though he’d never been elected to any position higher than Councillor. 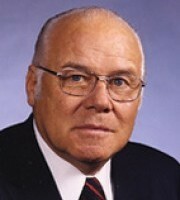 He’d lost in his bid for Mayor, finished fourth in the 1993 federal election, and lost by over 7,000 votes in the 1997 federal election. Despite this track record of defeat, the Dippers went with Jack and he rewarded them by becoming the NDP’s most successful leader ever. Brian Mulroney: Brian hadn’t even won a City Council election when he became PC leader, and had lost in his previous leadership bid. 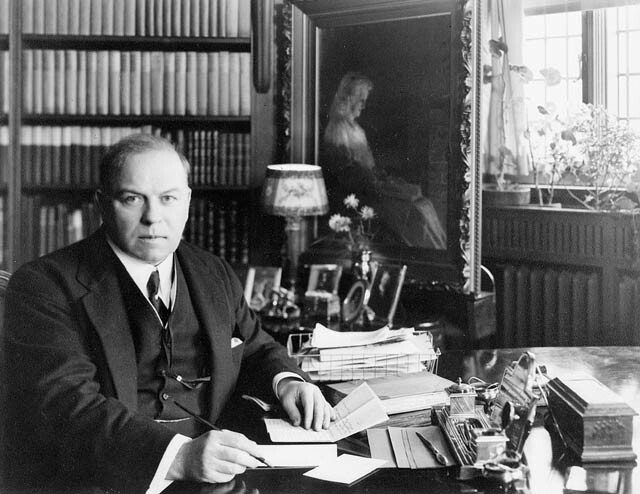 In his first ever election, he won over 200 seats. Jean Chretien, Paul Martin, John Turner: Although they had perfect records in their own ridings, all three lost a leadership race before becoming Liberal leader. Losers. Stephen Harper: Harper did not hold a seat when he ran for Canadian Alliance leadership in 2002. 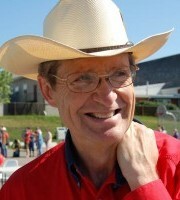 At that time, he had a rather uninspiring “1 win and 1 loss” record when it came to local elections – and remember, that’s a .500 record from a Calgary conservative. Those are just a few of the many losers who won their party leaderships. Indeed, the only examples from the past 30 years of national parties electing “winners” who had never lost their riding or a leadership race are Stephane Dion, Audrey McLaughlin, Stockwell Day, and Peter MacKay. 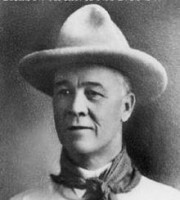 MacKay killed his party, and the other three almost did. That’s not to say that all “winners” become “losers”, but you need to go all the way back to Justin Trudeau’s father in 1968 to find a successful leader who had a perfect electoral record when he first took over his party’s leadership. And while I don’t want to dismiss Pierre Trudeau’s accomplishments, I suspect most barnyard animals could have held Mount Royal for the Liberals in 1965. The above examples come from federal politics, but we see it everywhere. Just eight years before becoming President, Barack Obama lost a primary race for a congressional seat by a 2:1 margin. Alison Redford couldn’t even beat Rob Anders in a nomination meeting. So while I wouldn’t dismiss a candidate’s electoral record (or lack thereof), it’s important to remember that a lot of winners have quickly turned into losers, and a lot of losers have gone on to have very successful careers. The Premiers Harper sat down with after taking office as PM (or would have sat down with if he was into that sort of thing) is one of the most talented groups of Premiers the country has ever seen. You may not like Jean Charest, Danny Williams, or Ralph Klein, but you can’t question their political abilities. 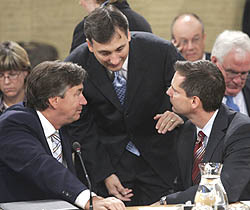 Gary Doer, Dalton McGuinty, and Gordon Campbell each lasted a decade in power. 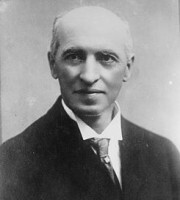 Bernard Lord is a former future Prime Minister. John Hamm is the reason Canadians tune into Mad Men every week. But despite all that talent, they’ve fallen one by one. 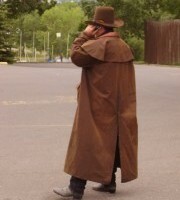 And the boring lobbyist from Calgary, who no one ever expected anything from, outlasted them all. It was hard for Harper to say no to “the most federalist Premier in my lifetime”…and the one man who laughed at his jokes. Although the federal leaders executed Cirque Du Soleil worthy backflips to stay out of the Quebec election, the repercussions of this vote will be far reaching. Having a separatist attack dog in Quebec City – even one on a minority government leash – undeniably changes the dynamic in Ottawa. Traditionally, Canadians have tended to trust the Liberal Party on the national unity file, and this is an area where the Trudeau brand remains strong. While I’m sure Justin doesn’t want to become a shadow of his father, people will listen when he speaks out about national unity, so it’s an issue he could use to define himself. Assuming of course, he manages to win the leadership. Let’s not get ahead of ourselves. But at the very least, another Liberal leader could still press the issue by sending Trudeau before the cameras or having Stephane Dion write an open letter to Pauline Marois. Hell, I think we know Stephane will be doing that, regardless of whatever the next Liberal leader wants. And yes, no one seriously expects there to be a referendum call during Marois’ term as Premier. But what if she tries to forge ahead with some of her controversial religious and linguistic policies? That sounds to me like a great opportunity for a party looking to reclaim its position as the defender of minority rights to take a firm stand – even if it means alienating a few xenophobic pequistes. 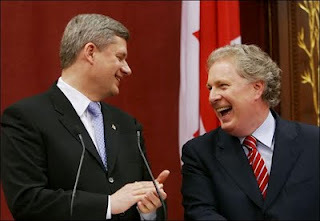 There was a time when Stephen Harper would shower Jean Charest with compliments at every press conference, but the love has faded from their relationship in recent years. Indeed, it’s not hard to imagine Stephen Harper secretly rooting for a PQ victory last week. A Marois minority was likely his best-case outcome, politically speaking. After all, it’s not like Stephen Harper has made a name for himself building consensus between the federal government and the provinces. For a man who is rarely seen smiling with the Premiers, a good enemy is more valuable than a shaky ally. And what a foil Marois is! This isn’t a “charming separatist” in the mould of Lucien Bouchard or Gilles Duceppe – outside Quebec, she is seen as destructive, closed-minded, and hateful. It’s a lot easier to say “non” to Pauline Marois than to “Captain Canada”, Jean Charest. Conflict with a PQ government is inevitable, and Harper can score points outside Quebec by standing up to Marois. However, unlike Trudeau or Chretien, the threat of a referendum does not hang over Harper’s head, minimizing the risk of a tough position. Thomas Mulcair is in a delicate position. Many of the people who elected his Quebec MPs justed voted in Pauline Marois – but the people who elected his other MPs are not fans of hers. Don’t expect Mulcair to be rushing to the microphones the next time Marois says something controversial. Further muddying the waters are Mulcair’s musings about starting a provincial NDP in Quebec. While this might help the NDP organizationally, it could box them into positions they’d rather not take. It’s one thing to go by Thomas in Quebec and Tom elsewhere – on policy, Mulcair is going to get burned on any inconsistencies. The Liberals rightly recognize that national unity is an area where they can score points vis-a-vis the Dippers. They’ve already tried to smoke the NDP out by musing about a motion re-affirming support for the Clarity Act. Expect more of that as Marois pushes national unity front and centre. The NDP may have gotten a free ride on the Sherbrooke Declaration when Jean Charest was Premier and they were the third party in the house, but the level of scrutiny will be higher for a government-in-waiting, with the separatists in power. Mulcair is going to have to defend positions that may not be popular in the rest of Canada. Bonne chance! 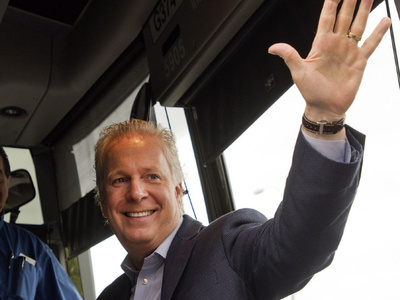 The headlines haven’t been kind to the outgoing Premier this morning: Jean Charest’s luck finally runs out, Charest’s Gamble Costs Liberals, Charest Has Only Himself To Blame For Quebec Election Defeat. I suspect many of these post-mortems were written before the votes rolled in last night, because the end result tells a far different tale – the Liberals finished within 1 percentage point and 4 seats of the PQ. This wasn’t simply a case of “sauver les meubles” – a few votes here and there, and the Liberals could have pulled it off. Had Charest held his own riding, we’d be speculating about him trying to cut a deal with the CAQ to stay on as Premier. That he came so close is remarkable, and not just because most polls and seat projections had the Liberals going down in flames. The reality is, few governments are given a fourth term – especially governments at the center of a public inquiry into corruption. The conditions were ripe for a crushing PQ victory, or for the CAQ to relegate the Liberals to third party status. Instead, Charest has left his party well positioned for a return to power in a few years, should be PQ flounder. Admitedly, the Charbonneau inquiry could taint the Liberals, but by punishing Charest yesterday, the electorate might be more willing to give his successor a clean slate. I won’t pretend Charest’s record as Premier is spotless. On most issues, he’s been a disappointment, and he leaves the province in a financial mess. However, he was drafted as PLQ leader with a mission statement to “save Canada” and, on that score, he fullfilled his mandate. The proof of this is that the PQ victory that swept him out of office has been met not with the usual national panic, but with a giant shrug. A CROP poll last week showed support for separation at 28%, and Marois doesn’t have the votes in the House or in the streets to call a referendum. While Charest lost the election and lost his seat last night, he still exits a winner, having secured his legacy. Pauline Marois, perhaps Quebec’s first female Premier, tells a young girl that she too could one day run for office…assuming she speaks French, of course. The polls have closed across the Nation of Quebec. The campaign started as a truly unpredictable three-way race. 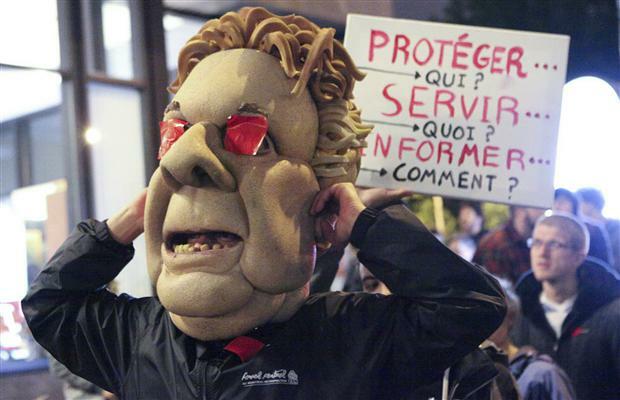 It wasn’t hard to imagine a scenario where Jean Charest ran against the students and won. Francois Legault offered a real alternative to Quebecers who were sick of the traditional parties who have offered Quebecers nothing but referendums, corruption, and bad government for as long as many can remember. In the end, Pauline Marois appears set to stumble over the finish line. Most projections have the PQ on the brink of a majority, so it’s possible a few hundred votes could decide whether or not Marois has carte blanche to implement the most extreme elements of her platform and call another referendum…or if she’ll be punted in favour of a CAQ-Liberal coalition. Hell, with some polls showing her lead at a mere 4-5 points, the spectre of another “Alberta Surprise” should not be discounted. I’ll be providing updates below throughout the evening. 8:21 pm: PQ lead with 20 seats, followed by the Liberals at 14 and the CAQ at 9. But the popular vote is close for all three parties, and only one of those 20 PQ seats is in a riding they didn’t win last time. 8:28 pm: And the Liberals pull ahead 26-21, with Charest up by 2 votes. I think we can all agree this is the David Bertschi bump! 8:41 pm: Neck and neck – safe to say, we’re heading for a minority…potentially one where the PQ win the most seats, but lose the popular vote. It might be up to Legault to play kingmaker. 9:02 pm: PQ will take it, as Marois becomes the first female Premier in Quebec history. The Charest Liberals become the first incumbent government in Canada to be defeated since the Shawn Graham Liberals went down two years ago. 9:44 pm: Looking at the west end of Montreal, it’s abundantly clear the anglos stayed loyal to the Liberals. 10:09 pm: There are still a few ridings left to call, but the PQ + QS total will be less than a majority, which means Marois’ more extreme policies are off the table. That may actually be good news for her, the same way a minority government let Harper placate his far right base. Charest appears to be heading to defeat in Sherbrooke, but he leaves his party in far better shape than most projected. I’ll follow up with a full post-game analysis tomorrow morning, but the good news is the disaster scenario has been averted. Today, Quebecers head to the polls, ready to elect what may be the least scary PQ government in the province’s history. That’s not a commentary on Marois, who is running on a disgustingly xenophobic platform. But even if the PQ gets a majority, it will be a majority built on only a third of the votes, at a time when there is no real appetite for another referendum. Premier Marois will change the country’s political dynamic and will put federal politicians on the hot seat, but this outcome won’t prompt the large-scale national panic that usually follows a PQ victory. That is, assuming she wins. As I wrote on Friday, the conditions are ripe for a surprise – though that surprise would likely only be in the size of Marois’ win, or the composition of the opposition benches. Clare Durand from WAPOR bucks the trend, concluding the undecideds will break Charest’s way, giving him a 33.1% to 29.5% edge in the popular vote and a minority government. Three parties entered the Quebec election with a chance to win, and while the PQ appears to be stumbling to victory, it’s nearly impossible to predict what will happen on Tuesday. Of course, that’s not stopping anyone. La Presse (thanks to CROP) projects a PQ minority, while the National Post (thanks to Forum) and the Globe (thanks to 308.com) project a majority. TooCloseToCall has the PQ with a 1-seat majority. Even in the best of times, seat projections are an inexact science, but this is an election where they might not fare much better than the TSN playoff monkey. Unlike Herman Cain, I’m not someone who distrusts the polls – but as the Alberta election showed us, shaky methodology and a volatile electorate can lead to journalists frantically re-writing their copy on election night. A robo-dialled Forum poll last week showed the Liberals riding a post-debate momentum wave to a 6-point lead over the PQ and an 11-point lead over the CAQ. That poll sticks out like an anglo at a PQ rally, but it’s still being included in the cumulative poll projections, and whose to say we won’t get another outlier in the final week? Complicating things is the turnout issue. We know the PQ and Quebec Solidaire vote skews younger and young people are too busy smoking pot and listening to loud rock and roll music to bother voting…but are the polls factoring this in? Do the student protests change this? It really comes down to which party’s supporters are most motivated after an uninspiring August election, and I don’t think there’s a clear answer to that question. 308.com gives the Liberals an “advantage” for being in government, but this is based on a study of just 16 elections, and I’m not convinced it will translate through to a party that’s on the way out of power. And if it does, the other seat projections are under-estimating Liberal support. Even if we had 100% confidence in the polls, transferring that confidence to seat projections is a recipe for disaster. Seat projections work reasonably well when there’s a good baseline to work off and relatively uniform shifts. Last year’s Manitoba election is a good example of this – with support levels only moving slightly from 2007, seat projections were spot on the money. The problem with this election is that we’re dealing with a jumble of 3-way races and the rise of a new party, so there’s no baseline to work off. We can’t simply assume the CAQ will build off ADQ support uniformly, because this is a very different “third party” than the one Quebecers rejected four years ago, and they’re targeting a different type of voter. So even when we’re treated to detailed regional numbers, there’s no way of knowing how that vote will transfer to individual ridings. Precise regional splits are a rare luxury, as many polls treat “Montreal”, “Quebec City”, and “Rest of Quebec” like three distinct and uniform regions. Anyone who has looked at riding-by-riding results in Montreal will know that’s certainly not the case. My gut feeling is we’re heading for a Marois minority (and we all know how much she hates minorities! ), but conditions are ripe for a surprise. Tune in Tuesday. Jean Charest has been around forever. He’s the longest serving Quebec Premier since Maurice Duplesis, and has been PLQ leader for over 14 years. Older Quebecers no doubt remember him from his role on the “Non” campaign in 1995, and his time as a curly haired Cabinet Minister in the Brian Mulroney government. So it’s understandable that Quebecers are looking for a change – especially given the controversies and scandals he’s had to endure. Yes, the electoral map likely favours the PQ, but the Francois Legault’s “we love the future and puppies” party is very much a wild card when calculating the electoral math, and Quebecers have demonstrated a willingness to shift their votes mid-campaign. It’s very much anybody’s game. A disorderly scene erupted in downtown Montreal at the start of Quebec’s election campaign as a night protest saw injuries, multiple arrests and clashes with police. The tense atmosphere during this spring’s student unrest was rekindled Wednesday as Jean Charest called an election and cast the tuition hike dispute as a central theme. Nothing says “strong leader” like standing up to the mob, and most polls have shown there’s minimal sympathy for Quebec students, whose cell phone bills are higher than their tuition rates. It’s surprising that Charest is even still around to fight this election. The shocking thing is, he might even win. Atlantic Canada: CRA’s quarterly poll numbers have been released, showing the PCs up by 12 in New Brunswick and the NDP up by just 2 in Nova Scotia. The PEI headlines scream about “plunging” satisfaction with the Ghiz government, but the Liberals still lead 20 points – I think most Premiers would be happy if their numbers plunged to those depths. In Newfoundland, the PCs still lead by 16 points, but that’s a far cry from the old days when Danny Williams routinely polled over 100%. Quebec: Expect protests on the streets of Montreal to continue through the summer, as negotiations between embittered students and the Quebec government have broken off. Far be it from me to tell Jean Charest what to do, since the man has repeatedly proven himself to be a modern day Lazarus, but if I were him I’d roll the dice and call an election on this issue. Even if the public is mixed on his handling of the protests, it’s a chance for him to look strong and make the election about an issue he could potentially win on. Saskatchewan: Nothing to see here – everyone still loves Brad . British Columbia: At the other end of the “most popular Premiers” poll is Christy Clark, who has taken to explictly criticizing Angus Reid. Perhaps the situation isn’t as dire as the polls suggest, but it’s been over a year since any pollster showed Clark ahead and four different companies confirm double-digit leads for the NDP. We’re still a year away from the BC election, but that incumbent winning streak we’ve heard so much about is going to be seriously put to the test (if not before then in Nova Scotia or Quebec).